TOPEKA, Kan. (AP) — Democratic Gov. 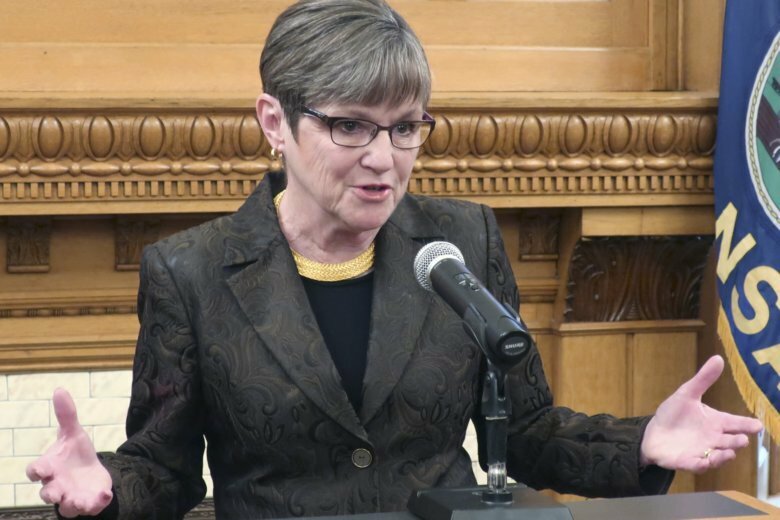 Laura Kelly could be forced to replace Kansas’ top business development official because of two small grants to a nonprofit group he previously managed from a fund tied to a late physician known nationally for doing late-term abortions. Acting state Commerce Secretary David Toland has no role in regulating abortion providers, but the state’s most influential anti-abortion group has joined an effort by some Republican legislators to oust him. They are troubled by grants totaling less than $20,000 to a southeast Kansas economic development group from a memorial fund named for Dr. George Tiller. Tiller was among a handful of physicians in the U.S. known to terminate pregnancies in their final weeks. His clinic in Wichita was the site of repeated anti-abortion protests, including the weeks-long “Summer of Mercy” in 1991. He was shot to death in 2009 in his church by an anti-abortion zealot who is serving a 25 years-to-life prison sentence. Toland’s political problems began with serving as the unpaid treasurer for Kelly’s successful campaign last year and have since mushroomed. The Republican-dominated Senate is expected to vote on his appointment next week, and it refuses to confirm him, he will have to step down from the Cabinet post he’s held since Kelly took office in January. Several Republican senators said Tuesday that the Tiller fund grants troubled them, and the anti-abortion group Kansans for Life emailed all 40 senators a letter Monday urging them not to confirm Toland’s appointment. A few GOP lawmakers noted that the commerce secretary controls programs and incentives for luring businesses to Kansas. Opposition to Toland’s appointment is an example of how abortion remains an enduring political issue in Kansas, which has only three clinics providing abortions. The Legislature has had solid anti-abortion majorities for two decades and recently passed a resolution condemning a new law in New York protecting abortion rights. “The last thing we want to see happen is a commerce secretary who is dialed in to how to get money from the Tiller foundation,” said Mary Kay Culp, Kansans for Life’s executive director. The controversy also shows how Kelly, who promised a bipartisan governing style, has had a rocky start in the face of resistance to her agenda from conservative Republican leaders. It’s especially notable because it’s rare for even Democratic governors to have Cabinet appointments rejected. Toland previously served 11 years as executive director of Thrive Allen County, the southeast Kansas nonprofit. He’s received credit for helping to lure a new grocery store to his hometown of Iola and persuade voters to build a new community hospital. Some Republicans have questioned Toland’s credentials and criticized him over a few social media posts and comments he made at a rally last year for expanding Medicaid. However, he also has the support of business leaders and local chamber-of-commerce officials across the state, and even some GOP senators consider him well-qualified. “It’s time to end these baseless attacks and confirm him to be our next secretary of commerce,” Kelly said in a statement Tuesday. According to the Wichita Community Foundation , which administers the Tiller fund, its first grant to Thrive Allen County, in 2015, was $9,380. It went to efforts to help low-income pregnant women stop smoking and get them to appointments for breast and cervical cancer screenings. The second grant, in 2018, was $10,000 and went to the local health department to help provide long-acting contraceptives to women who have no or limited health insurance coverage. And Sen. Gene Suellentrop, a conservative Wichita Republican, said Toland and Thrive Allen County now have a tie with the Tiller fund. “It does trouble me,” he said.